Going away on a vacation is nothing but fun if we exclude all the preparations for a trip. Even when going away for a weekend, most people tend to forget at least one item, which it’s not that big of a deal. Well, this is not the case if you are preparing yourself for an African Safari. 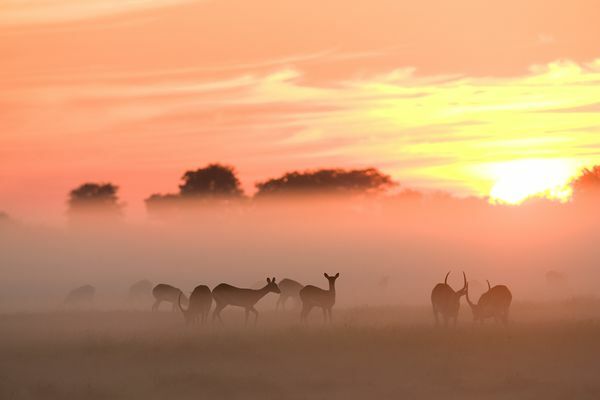 Explorers and more passionate travelers know what it means to experience an African Safari and how detailed you need to be when it comes to preparation for this kind of journey. And we do not refer to certain safety items only. Even the standard stuff you usually take on a family vacation is not a standard when visiting Africa. So, before you even consider going on an African trip you need to talk to an African travel specialist for more advice. First thing you need to determine is what exactly you’d like to see on your trip. What kind of animals, landscapes, tribes or any other place you’ve had in mind, so you can start prepping in accordance to the place you’ll visit. For example, if you’re going to Africa just to see the famous pyramids, you don’t need any special items that differ from those that you usually bring when going to a beach. But if you plan to go on an African Safari, then that is a different story. For starters, you need malaria medications (malaria is still a major threat in many parts of Africa) clothing for every season, extra batteries for all electronic equipment and many other safety gadgets to make your trip easier. Arrange all transportation details before you take off. Not that it is hard to find transportation when you get there, but it is better to cover this issue with an African travel agent who can give you reliable transportation companies that have the proper experience. You don’t want to end up getting lost in African wastelands and wonder how that happened. On the other hand, there are many unauthorized drivers who lack navigation experience and offer these services at a lower price. It is up to you to decide whether this risk is worth taking. Make a rough estimation of overall costs. Take your calculator and make your final bill so you can see what you really need and what can be excluded. Although things have changed over the last century, some parts of Africa are still considered dangerous for tourists. Some countries in Africa are still struggling with organized crime and common street theft. This means that you should be prepared to have more money than you actually need for this journey. Have in mind that, even though you are traveling with trained tour guides, you are still traveling through wastelands and non-inhabited areas.